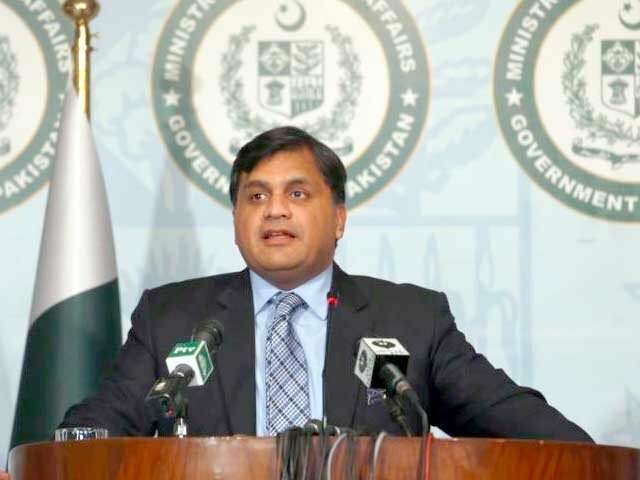 The Foreign Office (FO) on Tuesday lodged a “strong protest” with Bangladesh authorities following a burglary in the Pakistan High Commission in Dhaka. A few days ago, unidentified burglars broke into the consular section of the Pakistan High Commission in Dhaka and had stolen some computers. The FO, in a statement released by its spokesperson today, expressed “grave concern” over the incident, as the high commission building is located in a “highly secure diplomatic area” that is not easy to penetrate. The matter was reported to the authorities and a first information report was registered with police, the statement said, adding that the high commission had also requested the Bangladesh Foreign Office to heighten security around its building. “It has been underscored that as a host, it is the responsibility of the Bangladesh government to provide full security to the Pakistan High Commission premises,” the statement read. The FO urged Dhaka to hold a “thorough investigation, share a detailed report with us and bring the culprits to justice”.